of History,” 2010. Photo by Ariel Schwartz. I believe that living history serves much the same purpose as historical fiction, although each one relies upon its own artistic medium to achieve the desired result. Neither one can be judged by the same standards as traditional histories, because both require that the unavoidable gaps in our knowledge of a subject be ornamented with details that are the product of the creator’s imagination. The perils and pitfalls attendant upon this creative license are amply rewarded by the unique opportunities that this hybrid of art and history affords. Only this kind of interweaving of fact and fancy may yield such a vivid and complex tapestry of living history out of the dead past. The entertainment and delight produced by these whimsical encounters depend entirely on the artists' facility with their craft. But the authenticity of each endeavor will stand or fall based on the author’s knowledge of and fidelity to the historical subject. Living history and historical performances are not the same thing as reenactments or impersonations. A reenactor recreates specific moments in history, such as the battle at Gettysburg. A historical performer may place historical figures in situations they were never actually in. 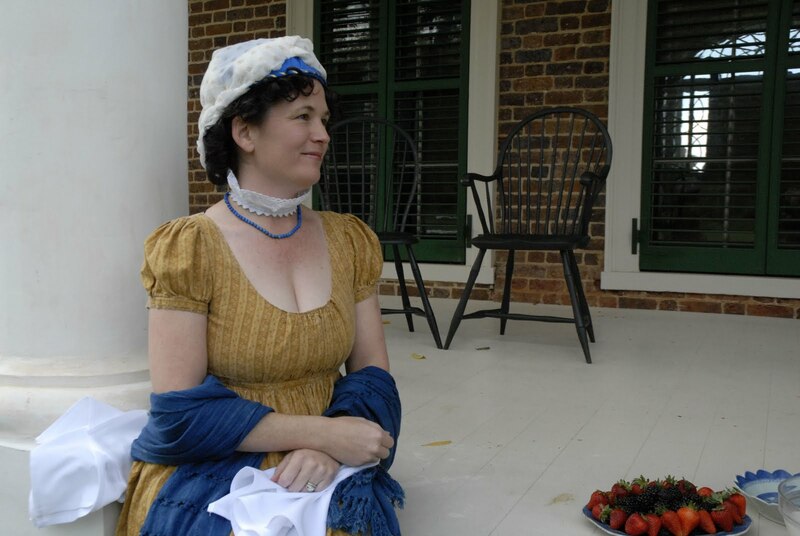 For instance, there is no evidence that Dolley Madison ever hosted a salon for her guests at Montpelier, but I have hosted several in 2010 and 2011. I did this for the purpose of exploring James Madison’s role as Father of the Constitution. The invention was plausible because of its reliance on genuine historical facts: namely, Mrs. Madison’s expertise of James Madison’s Notes on the Constitutional Convention, an education she acquired during their retirement years. 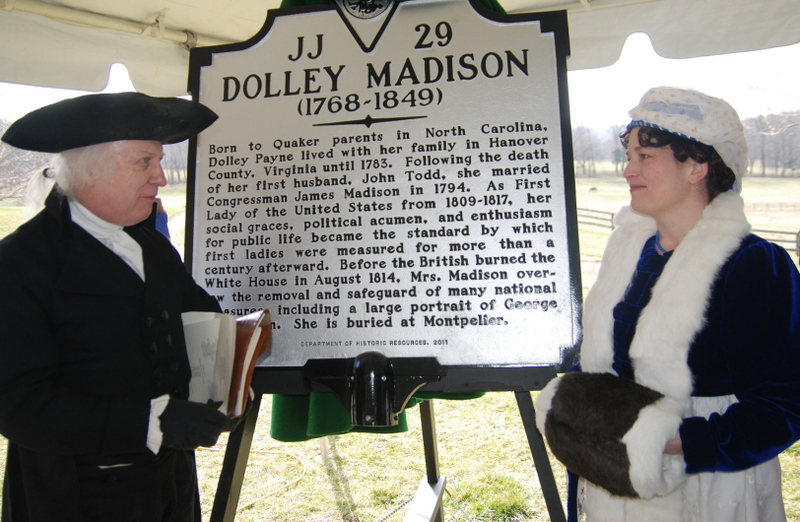 2011, with John Douglas Hall as James Madison. Photo courtesy the Montpelier Foundation. An authentic portrayal is not one that recreates specific events or speeches; rather, it is one that enters fully into the spirit of the time – even when that spirit jars with modern sensibilities. Good historical interpretations, like good historical fiction, are designed to breathe life into the dusty, musty past. At their best, they imbue historical personages with all of the vitality and fascination that they possessed during their lifetime. A successful portrayal should make it obvious why these eminent men and women deserve to be remembered.